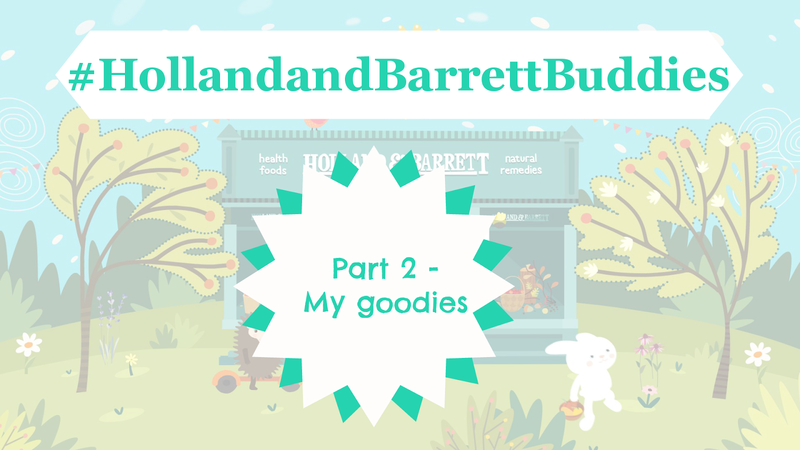 You may have seen a post a couple of weeks ago explaining that I have been chosen to take part in the #HollandandBarrettBuddies campaign (woopwoop!) I have been paired up with the lovely Dani from health and fitness blog This Woman’s Word, and we’ve each been given £100 to choose goodies for the other from the HUGE range at Holland and Barrett (pretty cool eh?!) Well I thought it was about time I gave you a good look at the amazing things Dani chose for me*. Get ready – there’s a lot!!! Dani knows that I love me some beauty bits and bobs and I was so chuffed to receive some of Holland and Barrett’s natural and green beauty products. I have very sensitive skin, especially around my eyes so always pay attention to what ingredients are in the make up I use and it was great to see the huge range that Holland and Barrett stocks. 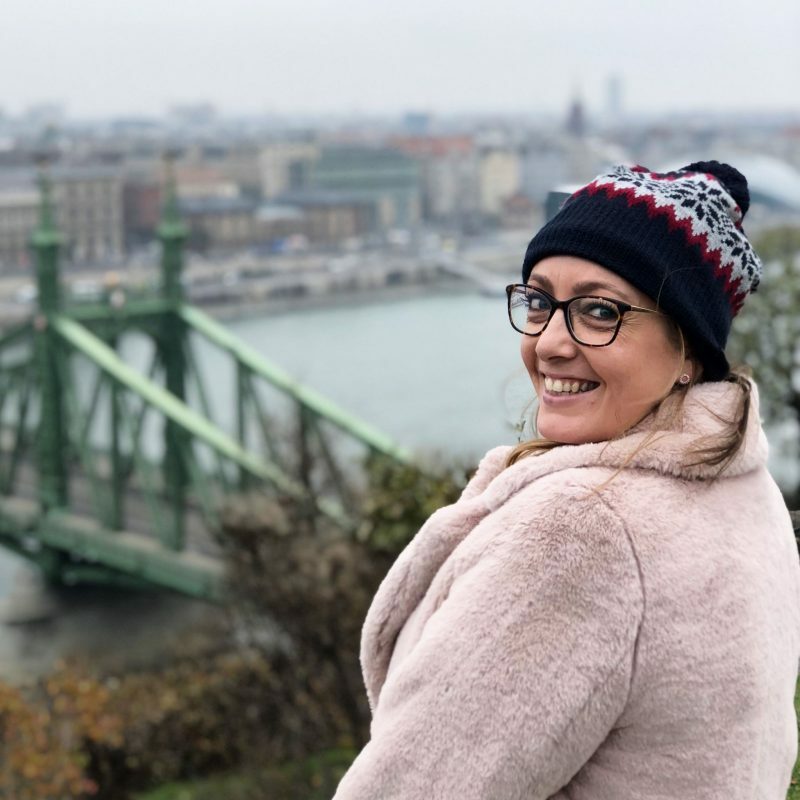 Dani has some amazing reviews of green beauty brands and products over on This Woman’s Word so head over there if green beauty is your bag! I love playing around with new lip colours and this Red Berry Charm is such a pretty colour (and how cute is the name?!) It’s a very unique colour and unlike anything else I have in my collection so a big thumbs up for this, and it contains lovely natural ingredients such as organic flower extracts from roses, lime blossom and mallow. Funnily I also chose Dani one of these lipsticks too so head on over to her blog to see what she thought of it. I’m always drawn to any mascara which promises volume (curse you thin lashes!) This Trend Sensitiv mascara doesn’t give as much volume as others I’ve tried but it’s good to know that my sensitive eyes are being looked after with ingredients such as organic beeswax. I’m still having a good old play with this mascara and initial impressions are that it’s a great one for a relaxed, natural look – lovely for low key summer days. I’ve been wanting to try Argan Oil out for aaaaages but have always been a little bit apprehensive as my hair is so fine I was a bit worried I’d be left looking like a greasy swamp monster! Not cute. Having my shampoo and conditioner laced with it however is a great way to ease me into it, and I always get comments about how shiny and soft my hair is whenever I use these two. Perfect! Remember Fruit Roll Ups from when you were a kid? And how after break at school everyone would return to the classroom with a different brightly coloured tongue from eating all the sugary delicious e-numbers and colourings?! Well these are pretty much like them…but healthy!! HURRAH! They’re so yummy, are made entirely of real fruit and are only 27 calories per Yo Yo. The perfect snack! I’ve really enjoyed snacking on these Nakd bars. They’re a bit like cereal bars but made primarily of fruit with some crunchy nuts built in too. They’re completely gluten, wheat and dairy free and are fairly stodgy which makes them very filling. They do have more calories than the normal low fat cereal bars I eat, but these are much better for me and contain less processed sugar. These are absolutely delicious! For someone who doesn’t like fruit (me – yes I realise I should have grown out of this by now!) I never thought I’d enjoy snacking on an apple, but these make it a very pleasant experience! They’re very sweet but this means I only need a couple and my sweet tooth craving is satisfied (and for far fewer calories than a Snickers Bar!) I love the chewy texture of them and they also make a great adornment to sweet apple based cocktails YUM! Now I know I said I don’t like fruit, but the one fruit I do eat is bananas (I fact I have one every day at 4pm!) I was really excited to find some banana chips in my Holland and Barrett box as I’ve never had them before but thought they’d probably be delicious! Sadly I am not really a fan 🙁 Despite being deep fried in coconut oil (nom nom nom) they taste a bit flavourless to me and almost with a little trace of “deep fried” taste to them if you know what I mean?! My boyfriend has been enjoying them though and has added them to his porridge and yoghurts, as well as snacking on them as they are. I found a fabulous banana and peanut butter chia seed muffin recipe however, and think the banana chips could be good added into this – either ground up or even added as a decoration on top. These are literally amazing. They’re spicy, crunchy, salty. What’s not to like?! A fab alternative to crisps, they are deep fried which obviously isn’t great, but it is another way to enjoy these delicious vegetables! I have to say I was a bit disappointed with the Holland and Barrett Mixed Nuts. My boyfriend regularly buys bags of mixed nuts from the supermarket and I felt our usual Morrisons ones have a much better variety of nuts in. The Holland and Barrett ones were dominated by peanuts which was a bit boring. Dani has an amazing recipe for sugar free cheesecake on her blog which she made using a sugar substitute. 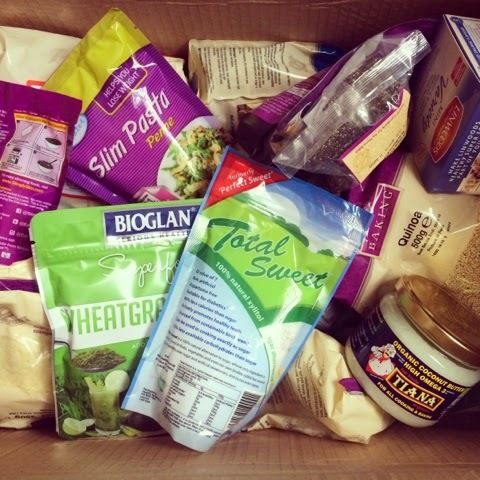 It looks incredible so I was really excited to receive this, which will be great for doing some healthier baking. I haven’t made the cheesecake yet but will definitely share it on here when I do. I LOVE coconut so was thrilled to find some desiccated coconut in my package. I’ve loved adding this to porridge and I also want to use this to create some delicious coconut cookies. I’ve always wanted to use ground almonds as a flour substitute in cakes since seeing it done on the Great British Bake Off so was thrilled to see Dani had chosen some for me. I will let you know what I bake as soon as possible! I think this would make a delicious combo teamed with the Desiccated Coconut or Banana Chips! I’ve really enjoyed making bread ever since I tried my hand at it as part of the Great British Bake Off challenge I did last year. I have made my delicious spelt flour and Gorgonzola foccacia loads over the last couple of weeks (such a nice thing to take over to someone’s house for pre-dinner nibbles – it looks impressive and is far healthier and tastier than standard chips and dips!) I’ve been playing around with other bread recipes using this Wholegrain Spelt Flour, which I will share here soon! Tiana Organic Coconut Butter says that it is an excellent alternative to frying, stir-frying, deep frying, roasting and baking, and doesn’t leave any trace of coconut taste or smell. I haven’t used it yet as my boyfriend is a bit dubious about using it with our cooking (lame!) so I want to use it as a butter substitute in baking to test it out first (and see if he can tell the difference mwah ha ha!) I love that it is a healthy fat though, completely organic and a great source of Omega 3. My friend Pat is a personal trainer and is literally obsessed with quinoa as it’s so high in protein and gluten free. My boyfriend and I have so far only used it as a rice equivalent but really like the texture of it and I am looking forward to using it as a base for lots of summer salads now were in BBQ season. Pat also has a recipe for a quinoa cake which I am very intrigued to try. I was half excited and half terrified when I unpacked these bad boys! I have heard so many amazing things about wheatgrass and acai for being great sources of nutrients and minerals and even helping weightloss, but they also summoned scary thoughts of horrid tasting drinks! I have used the acai one to add a healthy boost to a smoothie my boyfriend made but as I’m not a massive fan of fruit I need to find other ways to enjoy this super powder. I admit I haven’t yet been brave enough to have a wheatgrass shot so please let me know of any tasty ways you enjoy these! I had never heard of chia seeds until I opened up my box from Dani! I’ve been doing some research and they are very much a superfood of the moment, containing lots of fatty acids, fibre and protein. I wasn’t quite sure what to do with them but the internet is filled with so many amazing recipes and baking ideas involving these little guys. They are so versatile and I’ve seen recipes which involve using the chia seeds as a replacement for eggs and rice, and to create everything from smoothies to puddings to jams! Now which recipe to follow first?! So there it all is! Congratulations if you got to the end of this post – I know it was a long ‘un! Thanks so much Dani for choosing me so many amazing things! I’ve had so much fun trying everything out and discovering new products, foods and recipes, and Holland and Barrett for choosing me to be a part of their #HollandandBarrettBuddies Campaign. You can have a good nose at what I chose for Dani here and keep your eyes peeled for part 3 of this series, which will be a write up of a mystery event where myself, Dani and the rest of the Buddies will get to meet each other. So excited! Have you tried any of the items in my haul? *Thanks so much to Holland and Barrett for including me in their campaign and sending me all these amazing goodies to try. All thoughts are honest and my own. For more information please see my Disclaimer page.